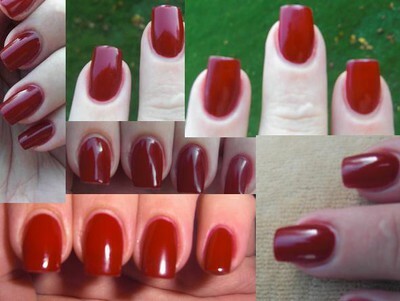 Yesterday I finally got an appointment to fix my nails. Ahh.. 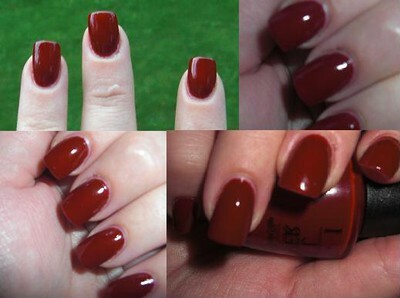 I love the feeling of newly-done nails, they are so smooth and so perfect ! 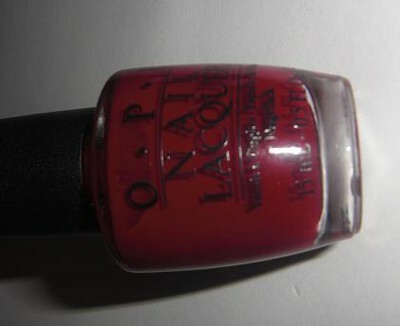 I was in a hurry so I decided to go with the classic red, my new Malaga Wine from OPI. 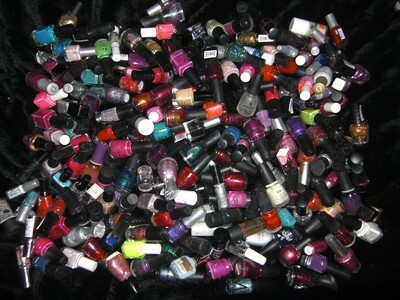 Can you have a bad nailpolish day? It's just like a bad hairday, no matter what I do, It just doesn't turn out good. 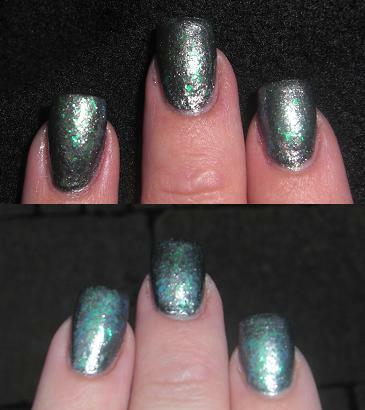 I was trying out the new nailpolishes I bought the other day, they got bubbly, uneven, it was the wrong light to take pictures in, my cleaning job around the nails was terrible;P Some days are just meant to be natural nails I believe! 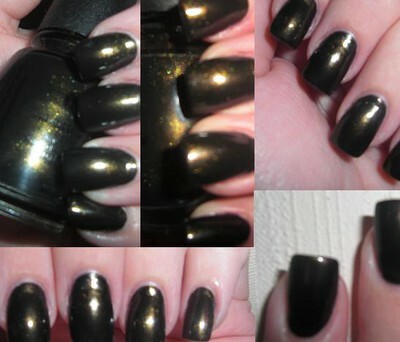 Well here are some pictures atleast, mabye you can get a hum about the colours atleast. Pictures incoming.. 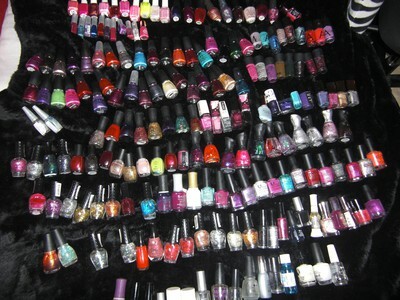 I promise to swatch them later! 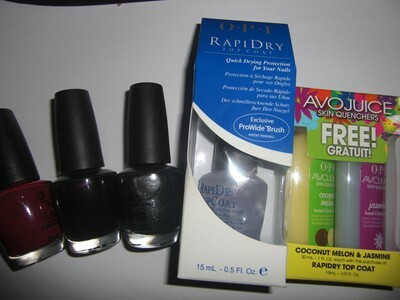 Malaga Wine (the perfect red atm), Black Cherry Chutney (I can't get enough purple nailpolishes), Lucerne Tainly Look Marvelous (awesome silver/steel grey) and a bottle of RapiDry and 2 Avojuice. The one that smells Coconut Melon I can sniff all day long, wish I could drink it! 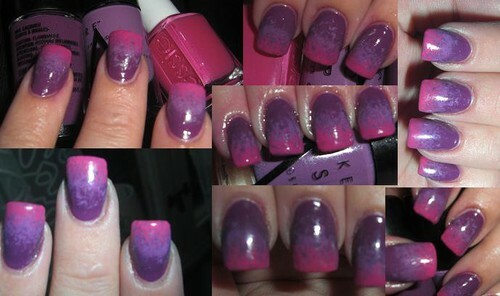 My first try on gradient nails... I am not satisfied with the result, the sponge I had was way to hard. 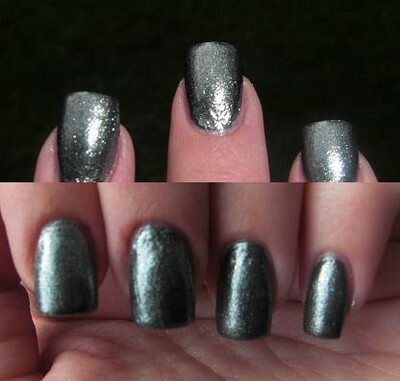 So I started out with Nfu-Oh number 61, it's a silver holo and absolutely stunning. 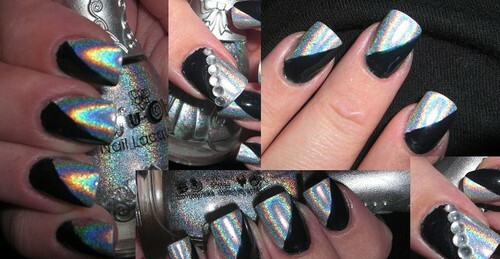 But I wanted to do something more, so I used my black nailart from China Glaze and painted half of the nails. Then I glued some rhinestones on the thumbnails. As you all know by now, I am really bad at getting good pictures, here's what I could achieve today. Yes I have been very lazy. Shame on me. 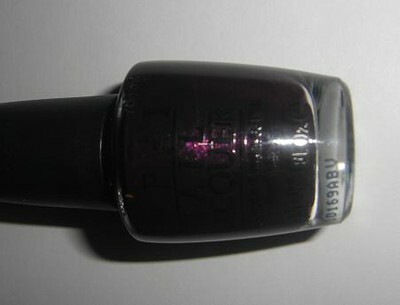 I have had the same polish on since sunday (but it still looks good)!! 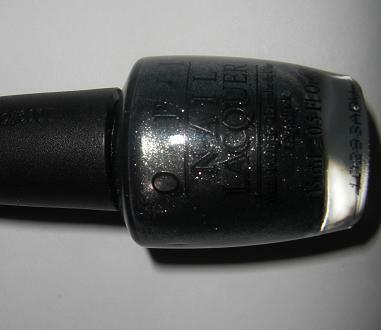 As I told you a few days ago I polished with the new nailpolish "bronze" from Isadora, today I felt like something new. 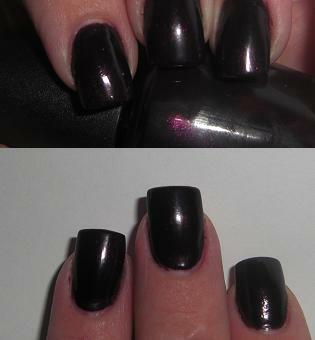 But instead of removing the polish I added some naildeco. 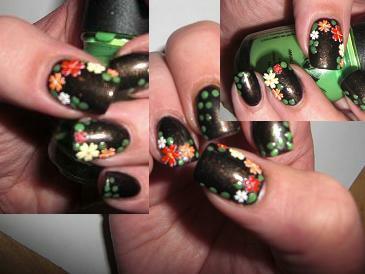 I tried to get a fall-theme going on with some flower stickers and some green dots. Enjoy. 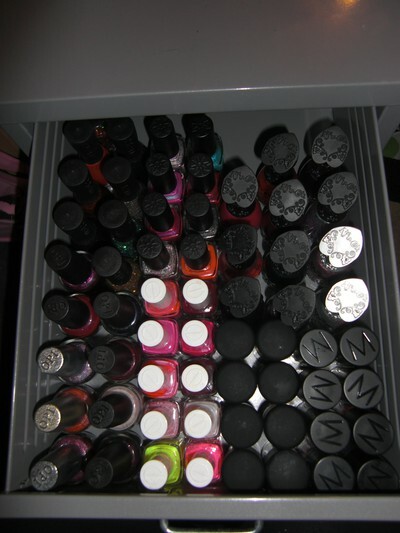 So first I sorted all the polishes by brand. 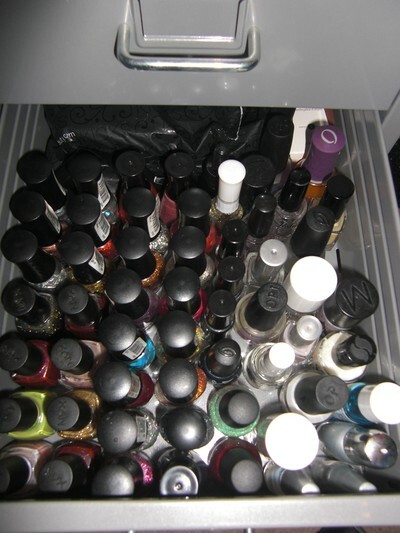 And the last one has only NYX and all my base/top coats and nailtreatments. And as you can see, I have room for plenty more! 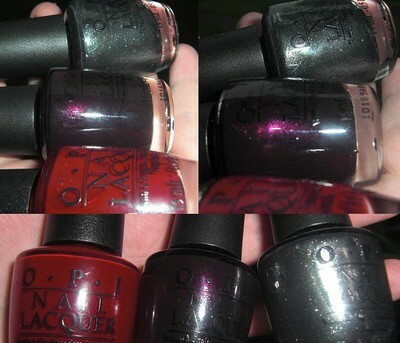 :) Right now I fancy OPI a lot, so I guess its that part of my collection that will grow in the closest future. 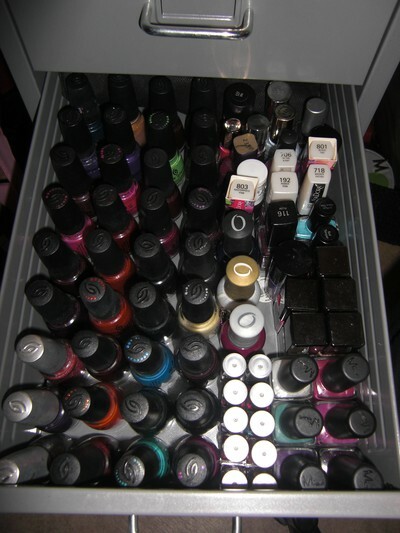 Todays project: organize my nailpolishes. Something that has been on my to-do list a bit too long. Stay tuned and wait for the result. Its cold outside, its raining... and I love it! I love all 3 of them.. which one is your favorite?